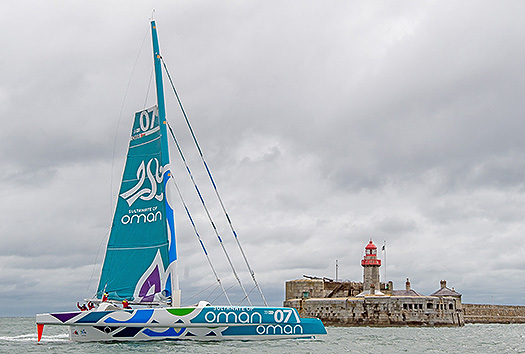 #roundireland - The World Sailing Speed Record Council has ratified a new Round Ireland Outright World Record set by Sidney Gavignet (FRA) and a crew of 5 on the MOD70 trimaran Musandam-Oman Sail. They completed the 698nm route on May 4-6 in a time of 40:51:57, posting an average speed of 17.08 knots. The previous record of 44:42:20 set in 1993 was held by Steve Fossett on Lakota.